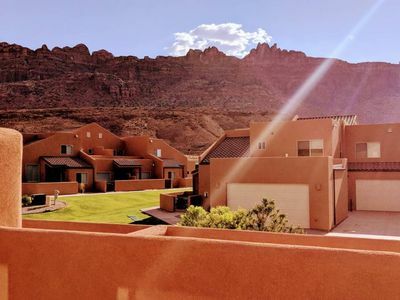 Arches Retreat * Best Location! * in town Moab * near Arches * no stairs! We would like to invite you to stay at our newly home-away from home. 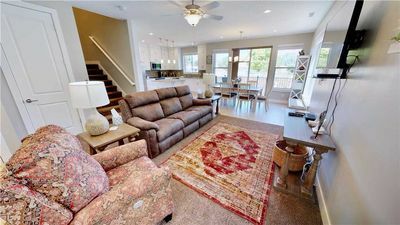 Our in-town getaway is a spacious, single level, three bedroom, two bath townhome in the sought-after 'Cottonwoods' complex. 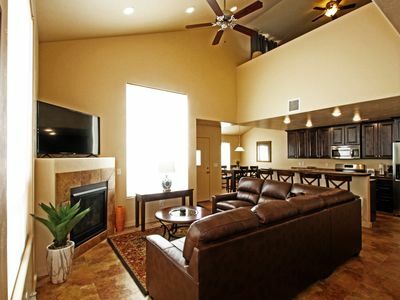 The Cottonwoods townhomes are sought-after because of their location. 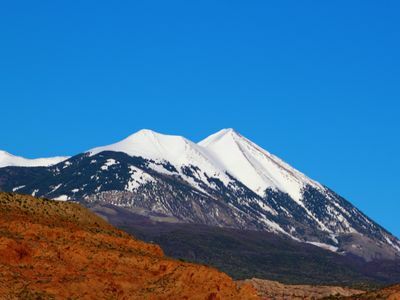 They are located in a quiet neighborhood two and a half blocks off of Main Street in downtown Moab. 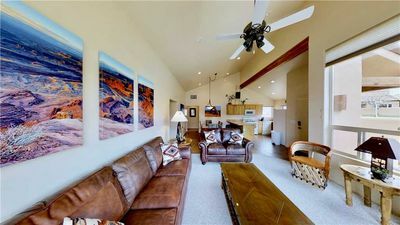 Their location offers the best access to Arches National Park, Canyonlands National Park, the best mountain bike and OHV trails, and it is a short walk to the restaurants, shops, and bars on Main Street. 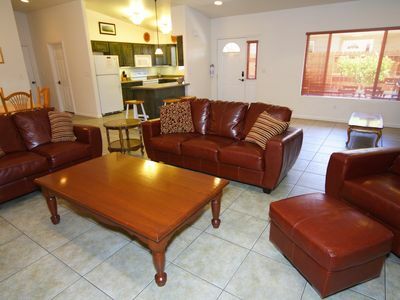 Our townhome is beautifully furnished with all your modern conveniences. 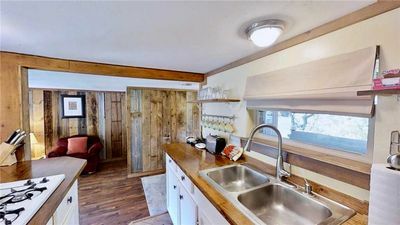 Amenities include a fully-equipped kitchen, dining accommodations for eight, dishwasher, washer and dryer (to name a few). Each of the two patios have a gas grill and seating. A large master bedroom contains a king bed that can be converted into two twin beds. The master bedroom also has a private bath with a Jacuzzi tub. The second bedroom has a queen bed. The third bedroom has two twin beds. 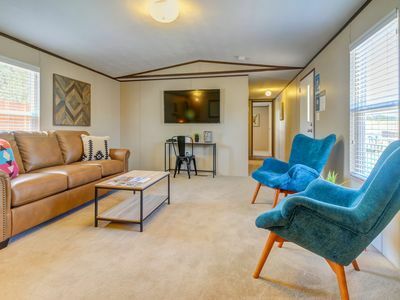 The condo will sleep six adults comfortably and up to eight people with a comfortable sleeper sofa located in the living room. There is also a queen sized air mattress that can be inflated to accommodate two more people. There is a pack 'n play crib available as well. The spacious living room contains a 46 inch LG HD 3D smart T.V. with internet connectivity. Watch a movie or your favorite show with your Netflix, Vudu, or HuluPlus subscription. Dish TV is provided. 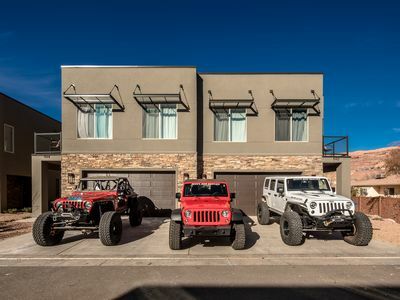 A two-car garage provides a secure place to store or work on all your toys. Keep your own road or mountain bike in tune using our bike repair stand. Additional off-street parking for two vehicles is provided in the driveway. Feel free to bike around town or on Moab’s bike paths using the bikes provided. 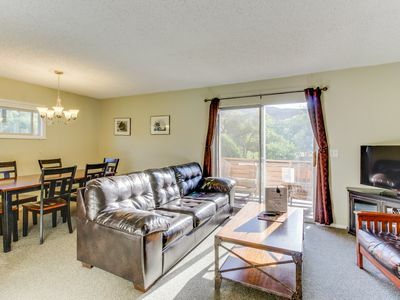 Our fenced back yard is situated next to a quiet area adjacent to the Mill Creek Parkway. Enjoy a swim in the Cottonwoods’ four-season heated indoor swimming pool. 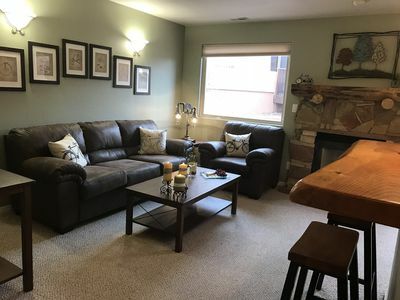 We have indoor and outdoor games for kids to play, adjacent to the units is a bmx park, and there is a skate park and new recreation center a few blocks away. We allow small pets with our written permission. There may be a pet fee. Smoking is prohibited indoors. Please check the calendar for availability. Pet Friendly. Close To Arches National Park, Canyonlands, And Colorado River. 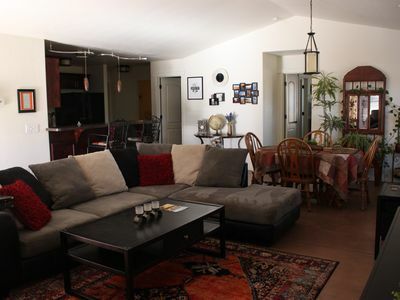 Newly renovated condo w/ shared hot tub - walk to downtown, close to Arches! 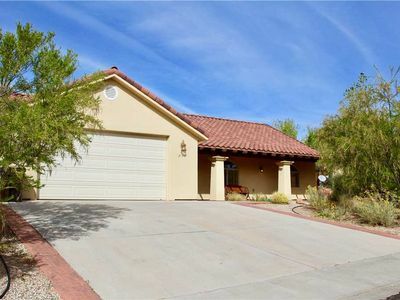 New, simple home w/ shared grilling area & red rock views - near downtown! 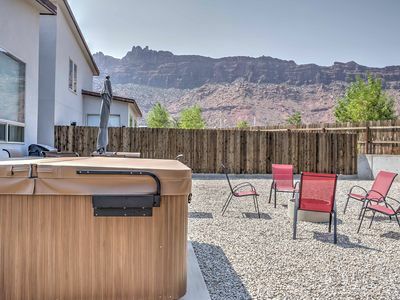 Moab Townhome w/Hot Tub & Mtn. Views- near Arches! On the golf course, newly remodeled! 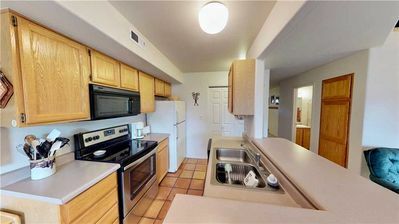 Beautiful home with fun decor and everything you need in your home away! 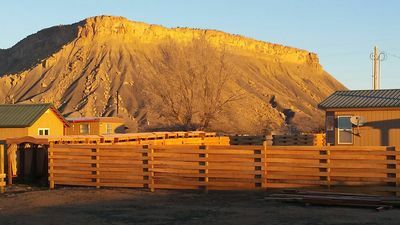 April/May Discounts - Top Rated Moab Property - Plus Free Townie Bikes! 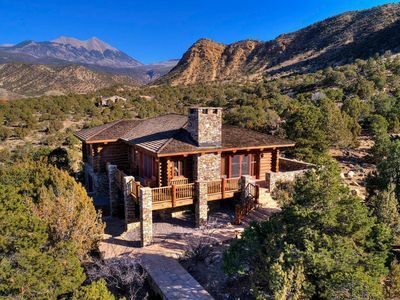 Luxurious Log Cabin Near Moab & Red Rock Canyons! 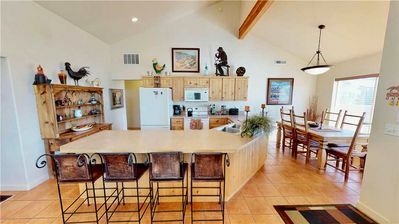 Stunning Views, Beautifully Decorated, Spacious. 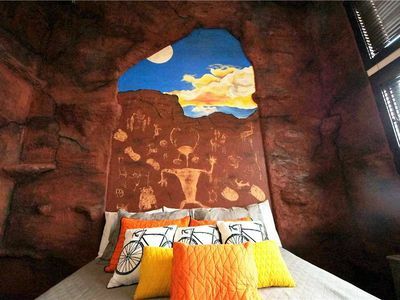 Your Moab Getaway Home!